THE doubles man should be made to pay taxes like everyone else, a tax expert has recommended. Angelique Bart said government should pay greater attention at the low and none tax-compliant sections of society including doubles vendors and taxi drivers, as these people who provide good and services, make profits with nothing going into the state’s coffers. Speaking yesterday during the American Chamber of Commerce’s (Amcham) Mid-Year Budget analysis at the Arthur Lok Jack Global School of Business in Mt Hope, Bart said the simple doubles man operating a cart at the side of the road earns tens of thousands of dollars a month yet is free from paying taxes such as Pay As You Earn (PAYE) in the case of an individual worker and corporation tax, in the case of businesses. “My husband says of the doubles vendor – if I were to quit law, we could do that. Because you have 200 customers buying at $5 per doubles, in five minutes. How much money would you be making? I can’t follow his math, but basically he is saying there is about 200-plus million on average that the doubles section of society generates. And we have to tackle that (in terms of tax compliance). We have to confront the issue,” Bart said. Bart said now that the Property Tax (Amendment) Bill was passed last Friday, what would be the impact on the manufacturing sector, which was already facing strain, given foreign-exchange shortages and productivity issues? She expressed concern that the property tax could be a significant enough bill to eat away at profit margins. “And you have to ask yourself if that is good enough business for you to either get into or stay in.” She added, however, it was necessary for some form of property taxation to add money to the coffers. Bart said while there may be a temptation to generate revenue by increased taxation, that the urge to do so should be resisted. She said it was easy to take that option but all other options should be explored first. members of the Tax Appeal Board since the second quarter of 2017. This had had a significant impact on tax disputes being resolved in a timely fashion, she said, and a significant number of matters were put into abeyance. She reported there were cases that had been in abeyance for more than 15 years. On Finance Minister Colm Imbert’s mid-year budget review, she said she has questions about how growth would be achieved and whether it would be sustainable growth. 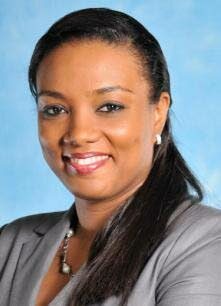 Fiscal revenue targets, she said, were heavily dependent on the national investment fund, which was the IPO to list the Clico and Clico Investment Bank assets. She also expressed concern about how much of the Finance Ministry’s optimism was due to payments from one-off sales of assets.